Hokkaido is surrounded by three different seas, and its coastal towns and cities are all famous for seafood. 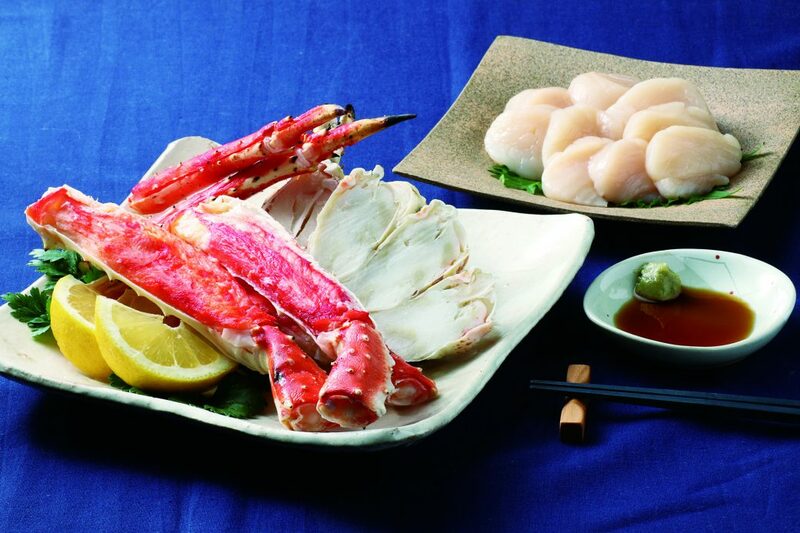 From Hakodate in the south to Kushiro in the east to Wakkanai in the north, the island is a treasure chest for crabs, scallops, salmon, kombu kelp, and more. If you want to take home these riches from the sea, Gyoren Shop in New Chitose Airport is the place to be. This seafood specialty store fills its shelves and coolers with the finest selection of processed and packaged seafood. 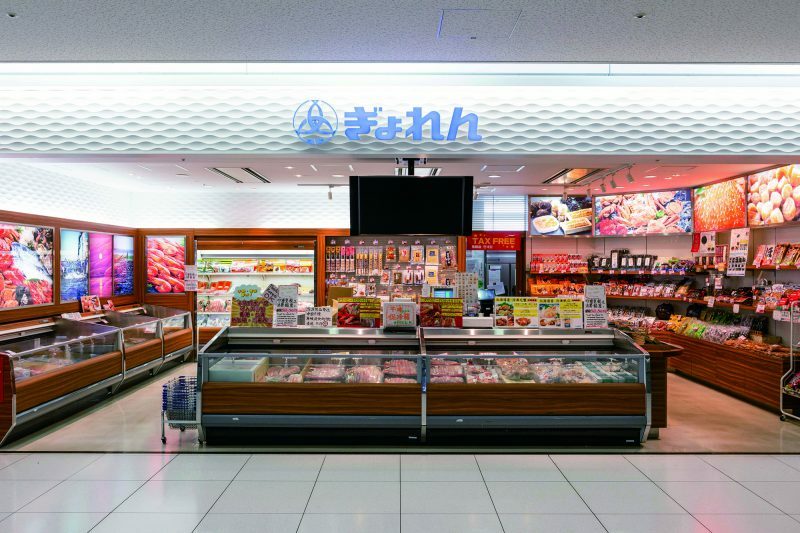 Using their own original processing techniques, they are able to retain the seafood’s freshness and flavor, so you can enjoy the safe and succulent seafood of Hokkaido in the comfort of your home. 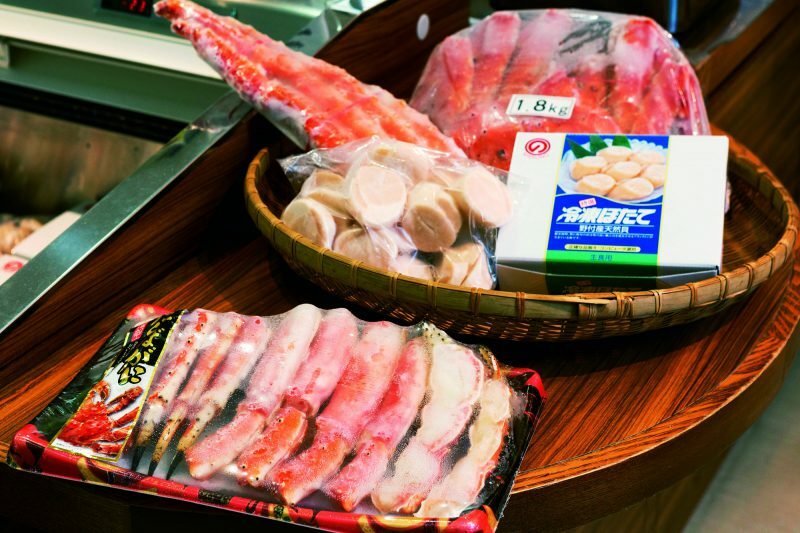 Their best-selling products include frozen king crab (Tarabagani) legs, frozen snow crab (Zuwaigani) legs, and frozen scallops. They are flash frozen to lock in their natural flavors. To serve, just thaw them slowly for around 12 hours inside your refrigerator. 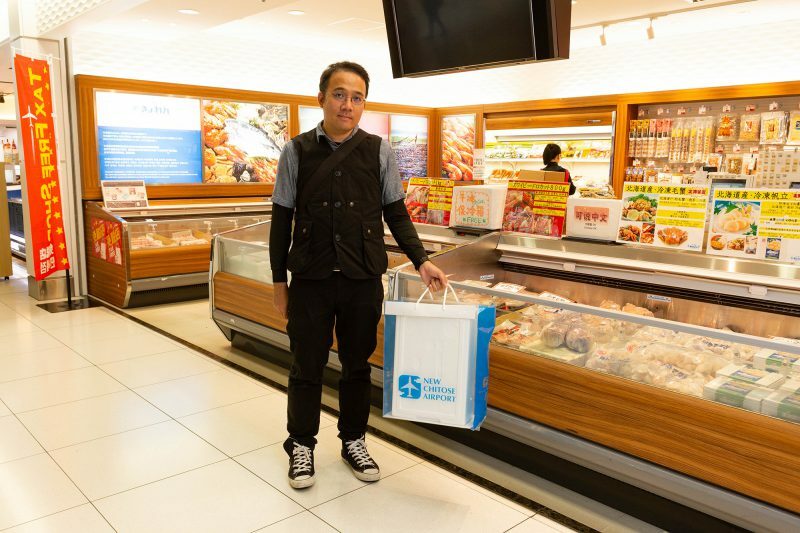 Gyoren Shop provides free styrofoam boxes, dry ice packs, and plastic bags for your frozen seafood purchases. Items will be kept frozen for up to 24 hours, so you don’t have to worry about them defrosting during your flight.